The E Street Band is also referred to as 'Bruce Springsteen’s [backing] band'. 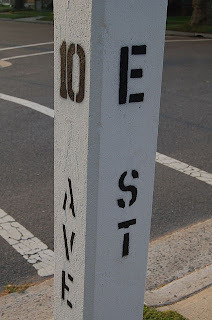 E Street is in Belmar, New Jersey, where the mother of multi-instrumentalist David Sancious (a prominent E Street Band member) once lived. Mama Sancious allowed the band to rehearse in her house. 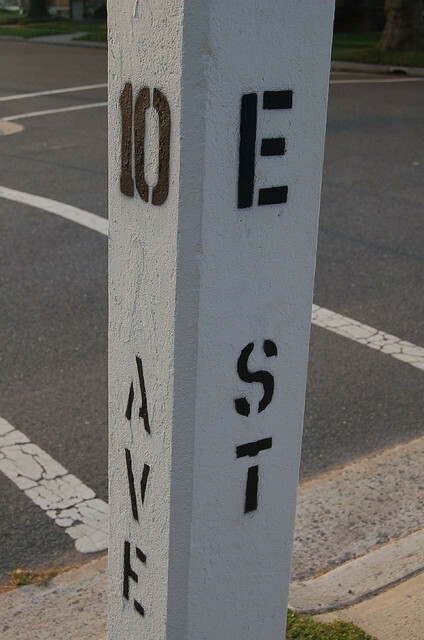 The stone marker with E ST on one side and 10 AVE on the other could well be the most photographed piece of street furniture of Belmar. The abbreviation 10 AVE will speak to the imagination of Sprinsteen-buffs: it indicates the second song on the album Born to Run, the breakthrough of The Boss. That song is called 10th Avenue Freeze Out. The song loosely tells the story of how of the E Street Band came into existence.